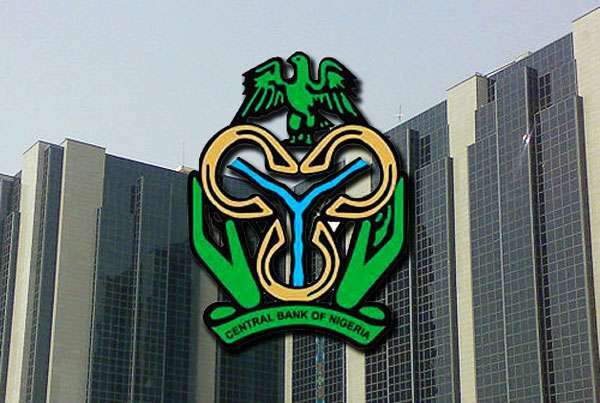 The Central Bank of Nigeria (CBN) has assured that the manufacturing and agricultural sectors will enjoy single digit interest rates as it would fast track lending of a reserved special intervention fund earmarked for the sectors. The CBN has set aside N235 billion and N750 billion as intervention funds for the manufacturing and agricultural sectors respectively, which it describes as pivotal in the resuscitation of the nation’s ailing economy. The CBN Director, Banking Supervision, Mrs. Tokunbo Martins, made the disclosure in Abuja yesterday, while briefing the media on the outcome of 328 sessions of Bankers’ Committee meeting. She also revealed the joint decision by CBN and Bankers’ Committee to increase limit of banks’ forex sale to Bureaux De Change (BDCs) to $50,000 from $30,000 it was two weeks ago. Martins, accompanied at the briefing by Group Managing Director of United Bank for Africa (UBA), Kennedy Uzoka, Zenith Bank Group Managing Director, Peter Amangbo, and Hassan Usman of Jaiz Bank Plc, said the decision to utilise CBN’s special reserved funds for lending to agricultural and manufacturing sectors was taken to hurriedly revamp the economy. “The issues we discussed are about the economy. The economy is always high up in our discussion. Issue came up about lending and how lending can be done to support economic conditions as we have it today with low single interest rate. As you may be aware, some time ago CBN took some cash reserves – special intervention fund – and this has been with CBN for some time. There was discussion on it and the decision was that those funds will be disbursed to support primary agriculture projects and projects that are in core manufacturing. Such projects must be ones that support import substitution; projects that will help preserve foreign exchange so that those things that are being imported before can be manufactured here. “The funds will only be released to these kinds of projects and there will be some ease in the industry. Important projects that will get financing at single digit lending rate,” she stated. Also commenting on the plans to boost forex supply to BDCs, the Group Managing Director of UBA, Kennedy Uzoka, said the decision stems from the feedback from the market. “The issue of making forex available to Nigerians has been of utmost concern to CBN and the apex bank has been working very hard to address this. Two weeks ago, a policy was released to sell forex to BDCs and the BDCs are supposed to pass this money to Nigerians for their various needs. “Again at the meeting today, as expected, we got feedback from market and CBN being a responsible regulator decided to move the limit of $30,000 to BDCs to $ 50,000. So we believe we will make cash available to BDCs and increase the supply and this will help in crashing the price,” he said. The CBN, however, warned BDCs and banks not to circumvent the forex sale rules promising to ensure strict supervision. But reacting to the Bankers Committee recommendations Tuesday, The Chief Executive Officer, Financial Derivatives Limited, Mr. Bismark Rewane, while lauding the CBN’s support for the two critical sectors, equally took a swipe on the Federal Government for allowing them to fail in the first place. Rewane said what the economy needs at this point in time are efficient markets and fresh investments, considering the fact that the Gross Domestic Product (GDP) is already negative. ‘‘Now that they have intervened, will that stop the GDP from being in the negative? If the answer is no, then such interventions would not achieve the intended purpose. Intervention funds are injected after a company or sector has failed. But why should they fail in the first place?’’ Rewane queried. He said the intervention would not have been necessary, had the government taken the right steps to protect the two sectors from going comatose. According to him, the initiative is tantamount to medicine after death, saying these are economic palliatives usually introduced after failure. Also commenting on the committee’s decision, a former Deputy Governor of CBN, Dr Obadiah Mailafia said “I think it is a very good development. I really welcome it and I think it is long overdue. My worry is implementation because our banks have the tendency to declare something and then the charges will be more than the officially declared interest rate. That is my worry. In London or America, when they are charging you interest they put it on a pamphlet in front of you. But here they wouldn’t do that and before you know it one charge after another. The implementation of it should be done properly and transparently. Some of these bankers have the intension to allocate it to themselves and their relations to the detriment of those who truly deserve it. If it is transparently, professionally and efficiently managed, it is very welcome.